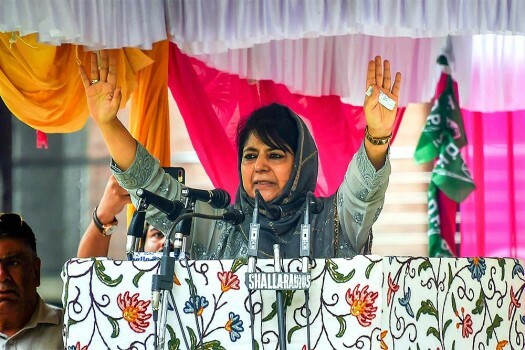 Former chief minister and Peoples Democratic Party (PDP) president Mehbooba Mufti addresses a press conference in Srinagar. 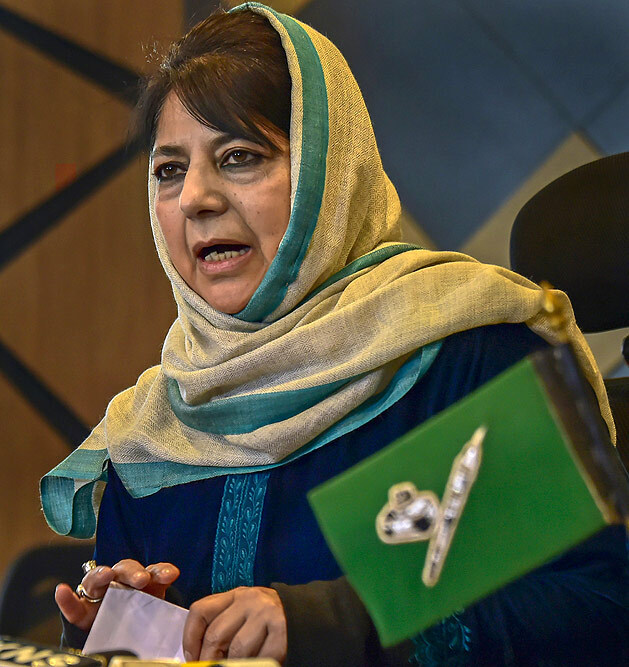 Out going Jammu and Kashmir chief minister Mehbooba Mufti addressing a press conference, in Srinagar, Tuesday 19, 2018. 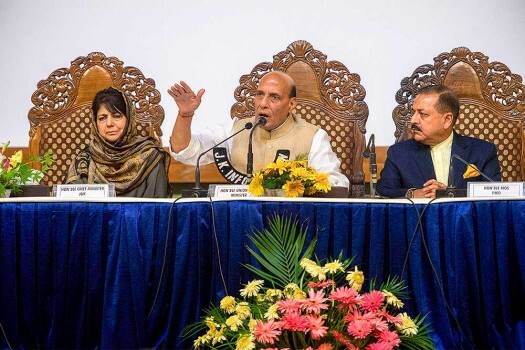 Union Home Minister Rajnath Singh with the President of the Jammu and Kashmir Peoples Democratic Party (PDP) Mehbooba Mufti, in Srinagar. 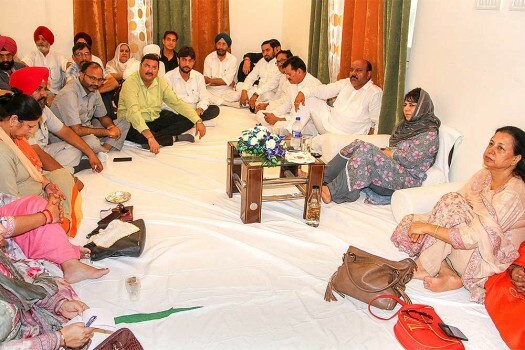 People's Democratic Party (PDP) President and former chief minister Mehbooba Mufti during senior party leader's meeting, in Jammu. 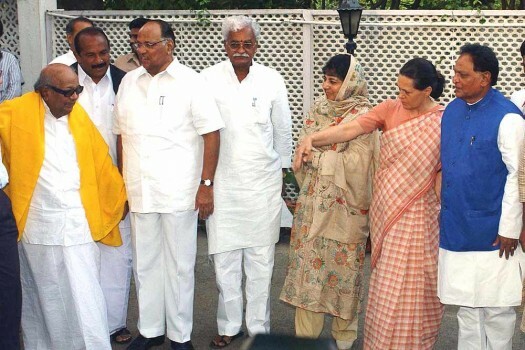 In this file picture DMK chief M Karunanidhi is seen with Congress President Sonia Gandhi, NCP chief Sharad Pawar, Mehbooba Mufti and other leaders. .
Out going Jammu and Kashmir chief minister Mehbooba Mufti addressing a press confrence in Srinagar. 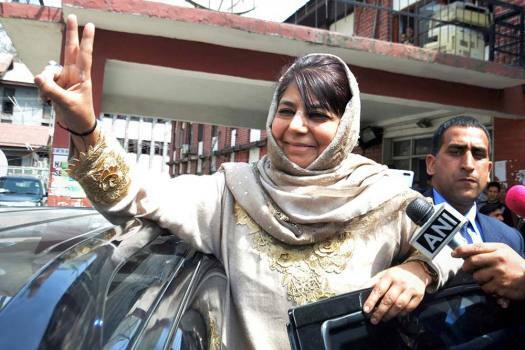 Out going Jammu and Kashmir chief minister Mehbooba Mufti addressing a press conference in Srinagar. 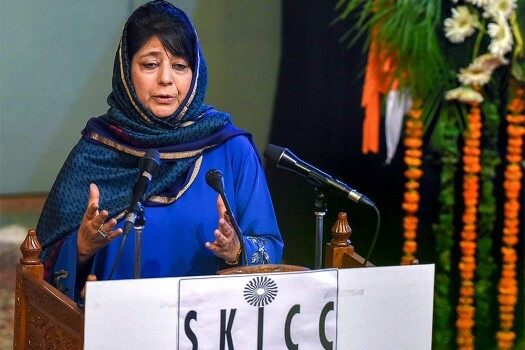 J&K Chief Minister Mehbooba Mufti addresses during a function at SKICC in Srinagar. 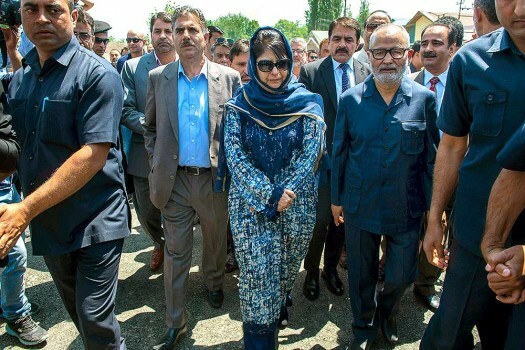 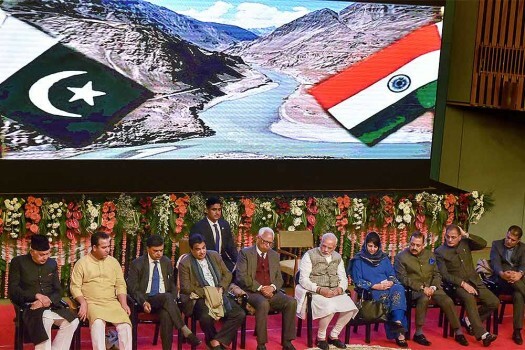 Jammu and Kashmir Chief Minister Mehbooba Mufti inaugurates the phase-I of the Jahangir Chowk-Rambagh flyover stretching from Amar Singh College to Barzulla, in Srinagar. 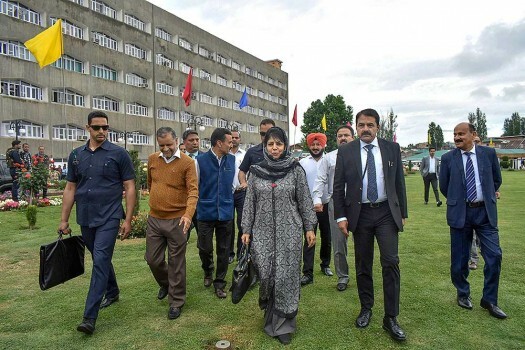 Chief Minister of Jammu and Kashmir Mehbooba Mufti arrives at the of Civil Secretariat as offices opened today as part of traditional ‘Darbar Move’ in Srinagar. 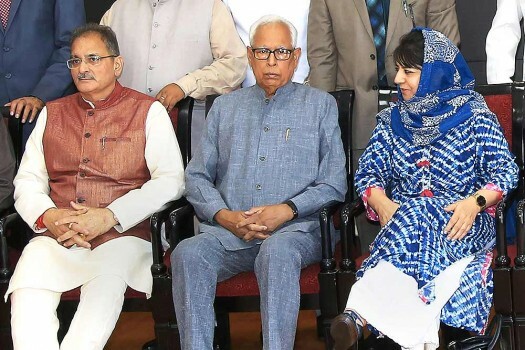 Jammu & Kashmir Governor NN Vohra, Chief Minister Mehbooba Mufti and Dy Chief Minister Kavinder Gupta at the swearing-in ceremony after the cabinet reshuffle, in Jammu. 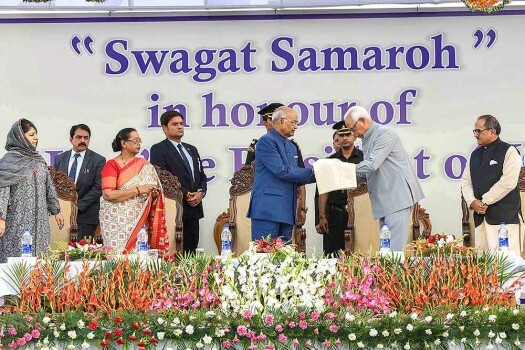 President Ram Nath Kovind being welcomed by Governor NN Vohra as Chief Minister Mehbooba Mufti looks on, during a Civic Reception in Jammu. 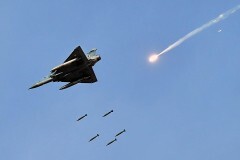 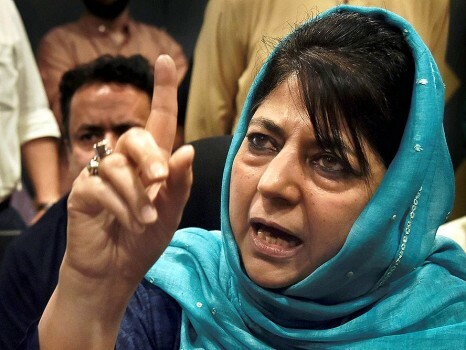 The PDP president was reacting to Union Finance Minister Arun Jaitley's remarks that statements of mainstream parties in Kashmir create 'separatist psyche' and were 'not acceptable to new India'. 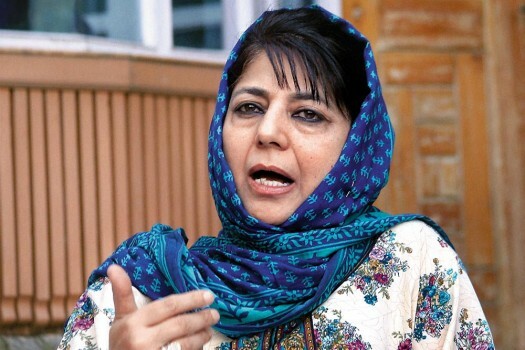 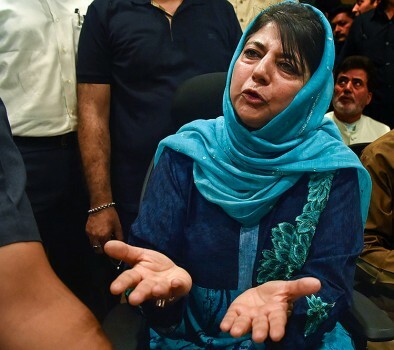 Former J&K Chief Minister and PDP president Mehbooba Mufti says her party and National Conference will fight together to safeguard J&K’s special status. 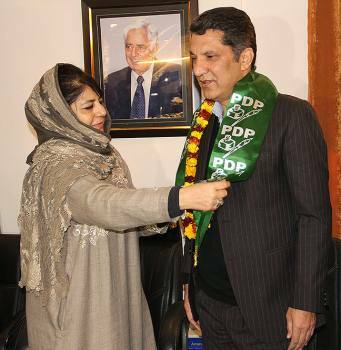 Mehbooba and Omar’s allegations tantamount to accusing the rebel MLAs of being agents of New Delhi in Srinagar. 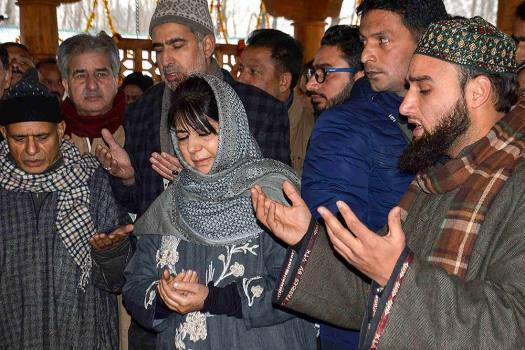 And this is seen as a slur in Kashmir. 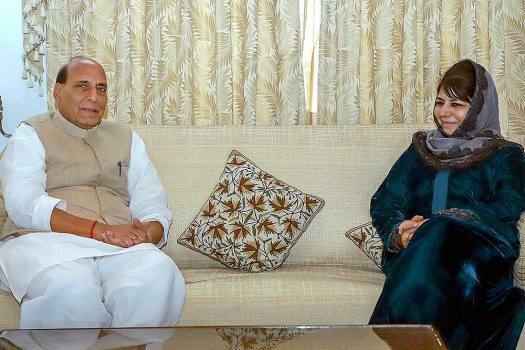 In short, the worst abuse one can face.